Nynke Salverda Passi was born and raised in the Netherlands. Her work has been published in CALYX, Gulf Coast, Red River Review, Illya’s Honey, and The Anthology of New England Writers, among other places. Her poetry has been anthologized in Carrying the Branch (Glass Lyre Press) and River of Earth and Sky (Blue Light Press). 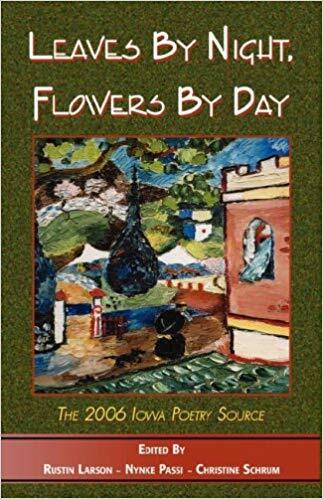 Together with Rustin Larson and Christine Schrum, she edited the poetry anthology Leaves by Night, Flowers by Day. Her story “The Kiss” was nominated for a Pushcart, and her essay “Oom Ealse and the Swan” was one of the finalists in the 2014 Editor’s Prize of The Missouri Review. Nynke has 20 years of college teaching experience in creative writing and is director of The Soul Ajar, a writing center offering workshops and collaborations exploring the relationship between writing, creativity, and healing. Is there a language untouched by hate? — From "The Morphology of Compassion & Indifference"
Through my writing center The Soul Ajar, I offer workshops, collaborations, and events exploring the relationship between writing, creativity, and healing. Here you can find out more about my recent and upcoming events and readings—mostly in Fairfield, Iowa.